I’m six months behind now. Seems right, comfortable. 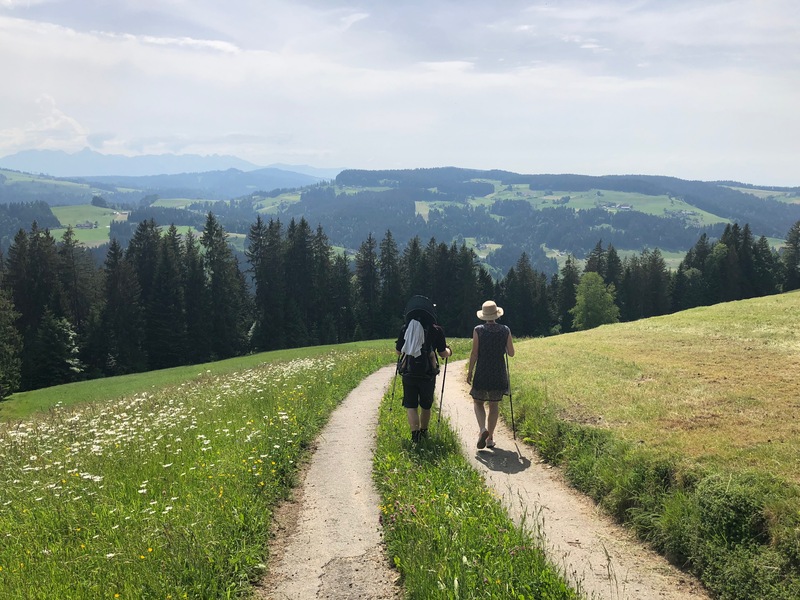 Back in May, Switzerland, friends Thomas and Kristine, took me walking through the Emmental region. It looked like this. 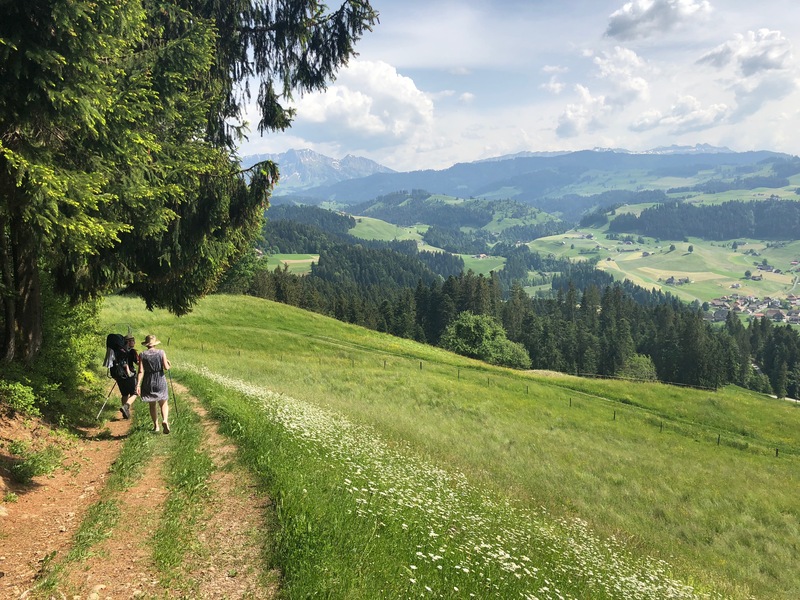 Like, I realize that when I go there I’m pretty much on vacation (although I presented some research at the University of Bern on this trip — thanks, Jens! ), but the most aggravating thing about Europe is thinking how cool it would be to be able to live like that, but realizing that there’s just no way for me to live like that. #ThanksObama. 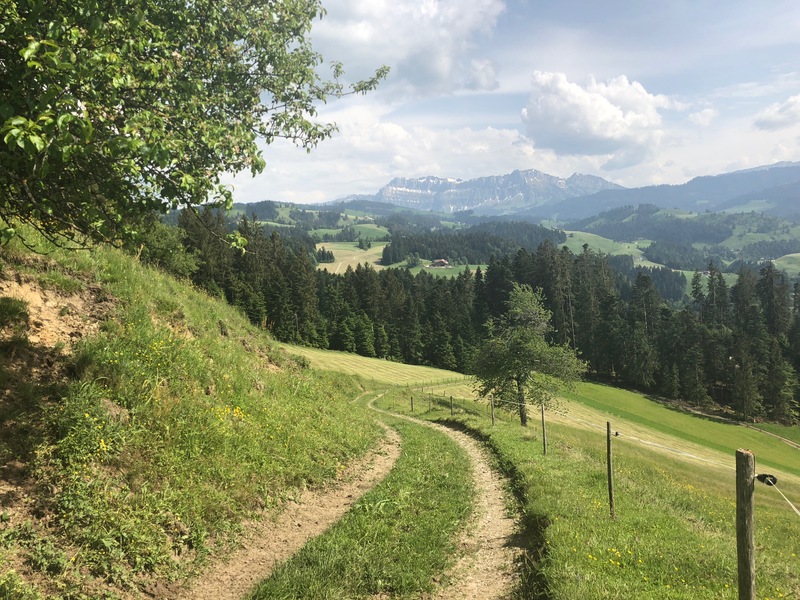 For this hike, we just took a train somewhere, then walked through a town, then were on the trail system that wandered through this Alpine foothill scenery. Stopped for lunch to eat leftover Flammenkuchen and it just all seemed so reasonable. Ended up in some other town, but instead of having had to have arranged a shuttle or drop cars off somewhere, we just got something to eat at the Gasthof while waiting for the bus that took us to another train station where we caught the train back to Bern. Or two days earlier, just stopping by the bakery on the way to the train station to pick up sandwiches that were actually pretty good and didn’t come from Smiths or Wal-Mart. I dunno, maybe it’s good to just be on vacation somewhere you like with people you like being around. 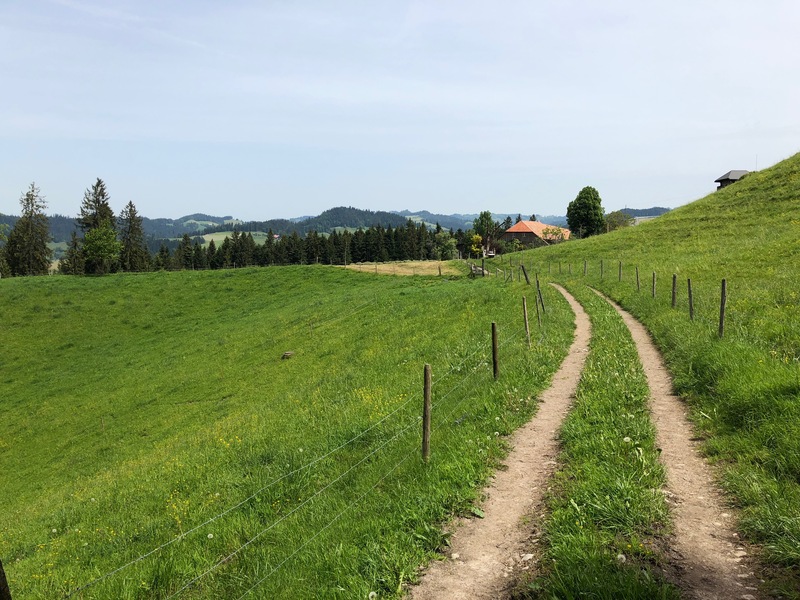 That wire in the last photo is electrified to keep the cows in, but there aren’t any warning signs to keep the people from dying on it, which is probably good for the gene pool. Swiss German sounds like they tried to make every German word cute but unintelligible. 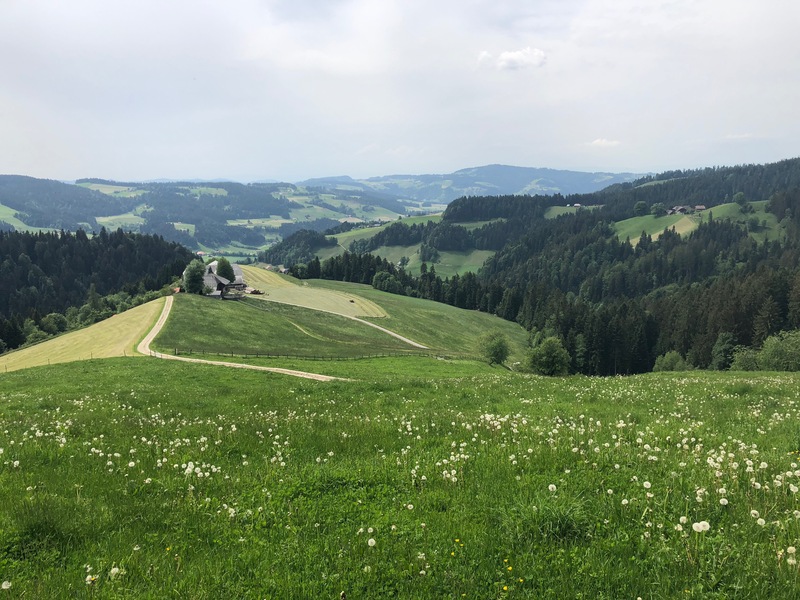 I kept trying to remember what Emmentaler cheese was, but couldn’t ever quite put it together. Turns out it’s just Swiss cheese. And the most impressive thing about Switzerland, as always, is just how expensive absolutely everything there is. Although it was somewhat cheaper in those small towns than in the capital. Was sad to leave, would be great to head back some time when a little more snow is out of the mountains and some of the higher reaches are available. Maybe next year. Probably not though.